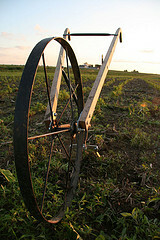 Crop rotations are perhaps the most important, interesting, and debatable component of organic farming. Our choice of crops and the order in which they are planted determines our soil structure, nutrient availability, and the weed, disease, and pest pressures that we will face. We also have to consider the rotation and its effect on those determining factors as we consider, ultimately, the income that we will obtain from the farm – in the short term and in the long term. 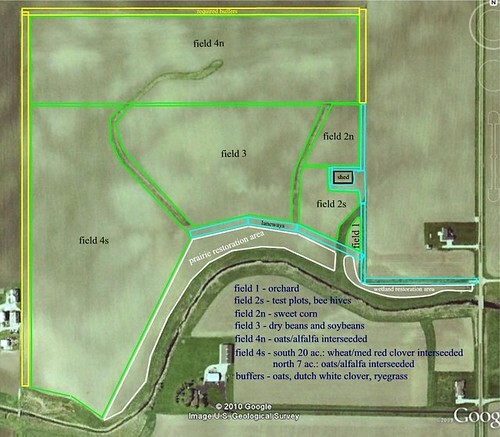 2012 Farm Map: Third year of organic transition. 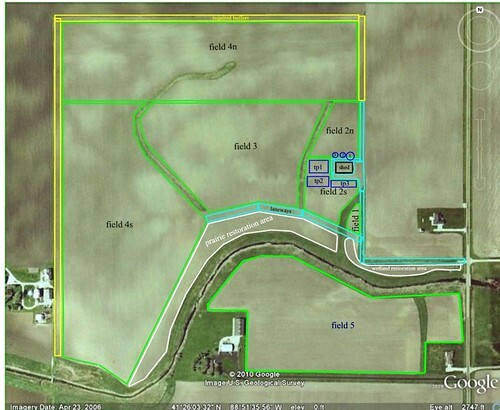 We updated the field map this year to show our 3 new grain bins. It also now shows our three garden “test plots” – we rotate our small-scale test crops (including garlic) among the three. 2011 Farm Map: Second year of organic transition. 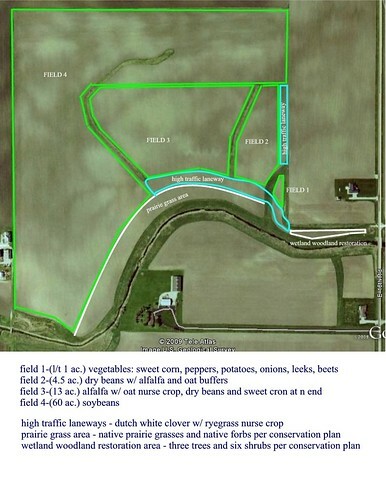 2010 Farm Map: First year of organic transition, first growing season under Breslin Farms management. 2009: Whole farm in conventional field corn, not under Breslin Farms management. Last application of an NOP-prohibited substance: August 3, 2009.